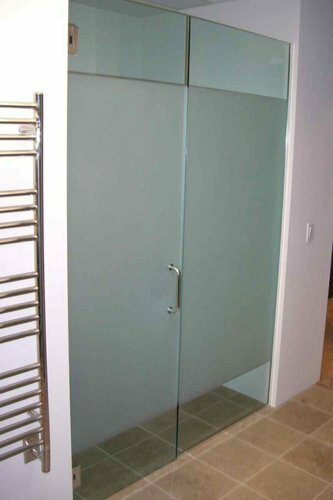 Our company has achieved widespread recognition for offering Glass Shower Enclosure systems. This product is used in the bathroom decor of homes, resorts and hotels. This product is perfectly finished using qualitative accessories like hinges, handles and latches to enhance its functionality. This product is made from excellent quality raw materials. Srivatsa Intearch Private Limited is a fast emerging leader engaged in offering a huge array of products and reliable services to its valued patrons from the industry. Commenced its activities in the year 2009, our company is operating its entire business activities as Private Limited Company with its business office based in Chennai, Tamil Nadu (India). With our specialization in the terrain of supplying and trading, we have products such as Patch Fitting, Spider Fitting, Shower Enclosure, Canopy Tent and many more. We are also the service provider for various related services such as Glazing Work, Exterior Decor Service and others. Our vast experience in the field of interior and exterior designing, architectural design and home and office decor has helped us to refine our processes. We have built a solid and a long lasting working relationship with our clients and vendors. We provide technical support and service to all those who have fascination for comfort and luxury.